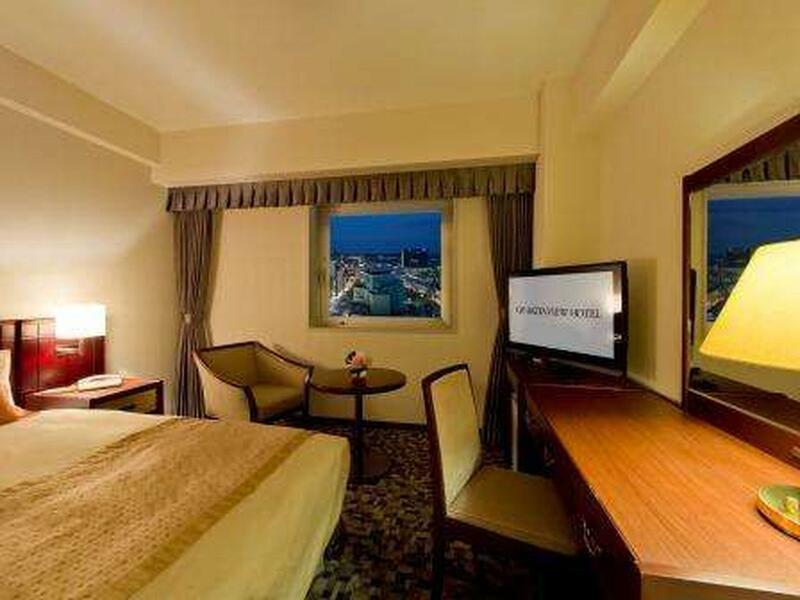 Ada pertanyaan untuk Akita View Hotel? Baik Anda turis maupun dalam perjalanan bisnis, Akita View Hotel adalah pilihan akomodasi yang tepat ketika mengunjungi Akita. Dari sini, para tamu dapat menikmati akses mudah ke semua hal yang dapat ditemukan di sebuah kota yang aktif ini. Bagi Anda yang ingin berjalan-jalan, Atorion Building, Goods Plaza Prefektur Akita, Akita Kensanhin Plaza hanyalah beberapa dari obyek wisata yang tersedia bagi para pengunjung. 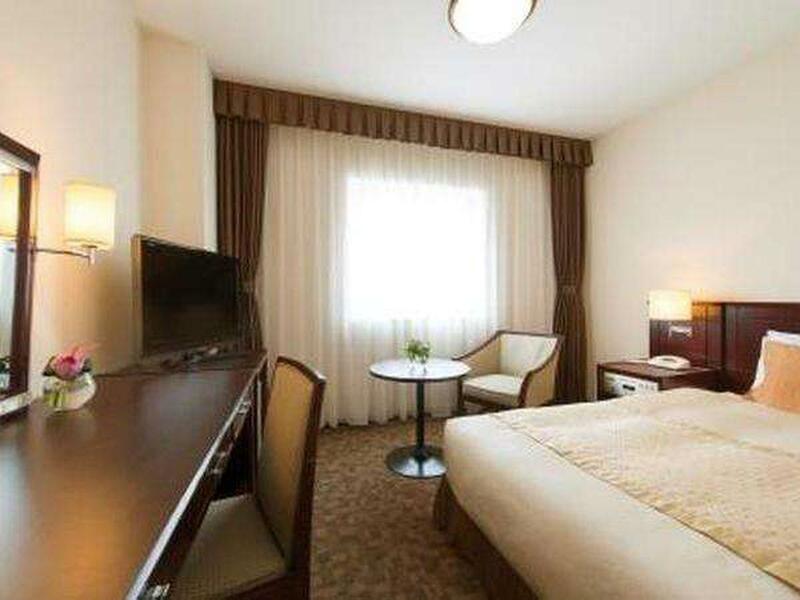 Dengan menawarkan pelayanan superior dan sejumlah fasilitas kepada para tamu hotel, Akita View Hotel berkomitmen untuk memastikan penginapan Anda senyaman mungkin. Untuk kenyamanan para tamu, hotel ini menawarkan WiFi gratis di semua kamar, resepsionis 24 jam, Wi-fi di tempat umum, tempat parkir mobil, restoran. Semua akomodasi tamu dilengkapi dengan fasilitas yang telah dirancang dengan baik demi menjaga kenyamanan. Daftar lengkap fasilitas rekreasi tersedia di hotel termasuk pusat kebugaran, sauna. Ketika Anda mencari penginapan yang nyaman di Akita, jadikanlah Akita View Hotel rumah Anda ketika Anda berlibur. The bed is huge! Soft and comfortable, with soft pillows, too. The room itself is huge. The toilet and bath is spacious with heated toilet seat. The room included a closet and a luggage rack. A 32-in TV, I think. Just across JR Akita. There is a fitness center but I think you have to pay. I got a good view of the city and the mountains, as requested upon booking. I like the sitting area. Airport limousine bus just less than 2 minutes by foot from the hotel, 930 yen one way. I just don't like the shower knobs wherein you have to mix hot and cold water. I hope they switch to the more modern "lever-type" fixture that newer hotels in Japan are using. The hair dryer is not the best. 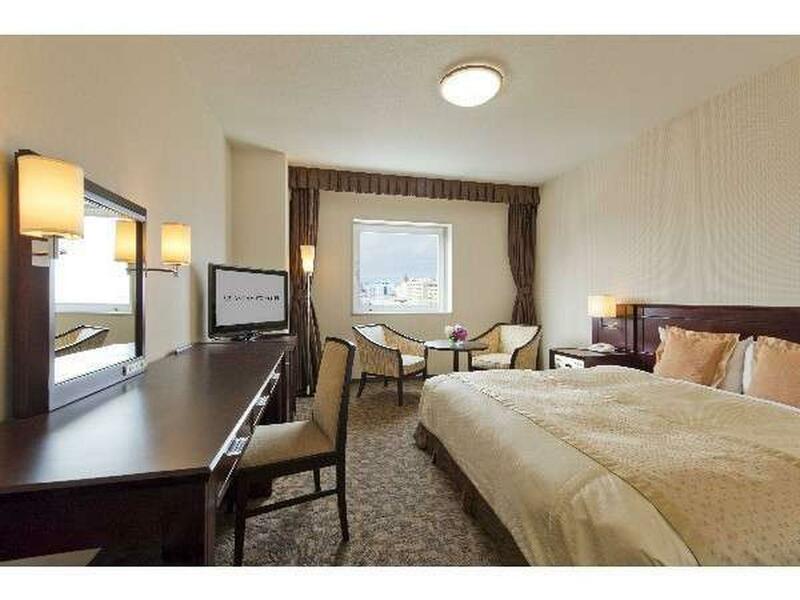 Great location very near Akita Station. Room very spacious. Big bed 2 x 140cm. Very clean. Hotel staff very helpful but not all staff understand english. Great hotel overall. Thank you. Hotel looked a little tired externally, but the room was spacious and very comfortable. Basically across the road from the train station, and surrounded by restaurants and shops. And only a 5min walk to the Sensho gardens which contain the remains of the Kubota castle. Location is very good. Near the JR station, only 5 mins walk. And there re many restaurants and malls nearby. Although the facility looks old, it s still clean. And the room is big. 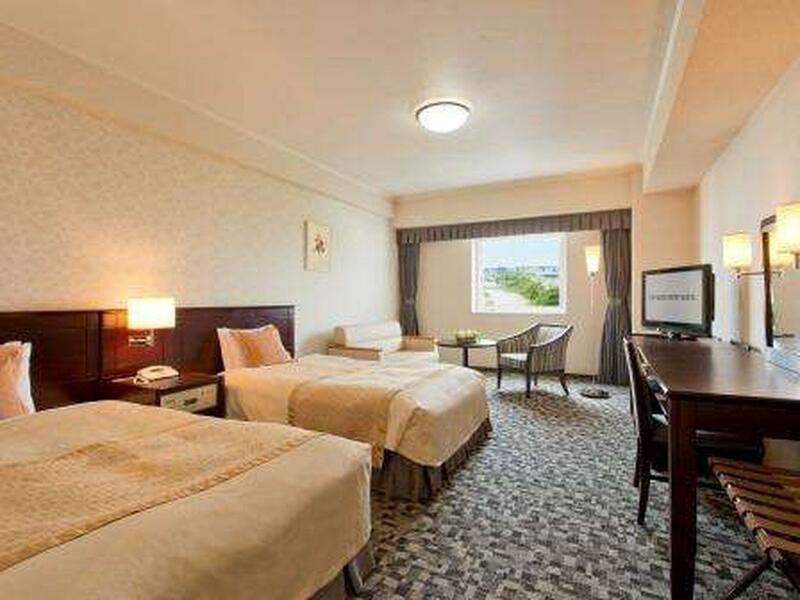 Large rooms, big beds. 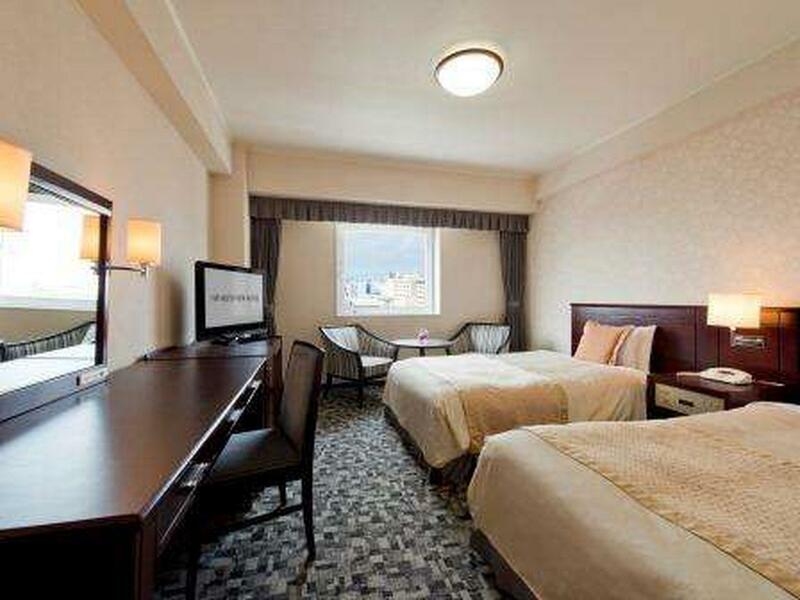 Great location, near major malls, train and bus stations. Hotel attached to a department store. Rates not so bad. Near JR station, central market and eateries. I only stayed 1 night in this hotel because I got to catch an early morning train back to Tokyo. I was very disappointed with the service of this hotel because during my 1 nite stay, I was informed that electricity supply will be totally cut off from 2am to 5am. there was no lighting and air-con in all the rooms were pitch dark. I booked the hotel through Agoda, with the "non-smoking room" option checked. Thus, it came as a surprise to me when we were allotted a smoking room instead. We rang up the front desk to request for a change. The manager came up immediately. Owing to the language gap, we communuicated via an app, which will translate our conversation into our native languages. It turned out that the hotel staff had misinterpreted the "non-smoking room" option, as a room meant for smoking, but without the previous odour. To compound matters, there were no more non-smoking 3-bedders left for the night. The manager then offered to relocate us to two rooms, a 1-bed room, and a 2-bed room, for one night. They will then shift our luggage to an available 3-bed room once it is ready the next day. Everything went smoothly from then on and we had a pleasant stay. To this end, I must commend the manager and the staff for their service quality. It's a little bit old inside and the room feels dusty. You can tell they try to maintain it as clean as they can. Old but neat. The location however is very nice. It's very near the Akita station. So it's OK for 3 stars in all. 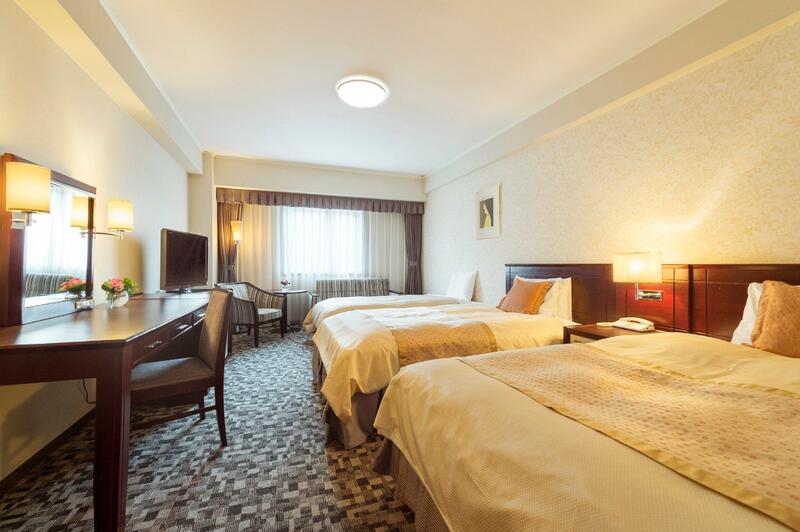 Location near Akita station, comfortable & clean room. This was an overnight stay but I wasn't disappointed. The hotel is only 120m or so from the railway station, which includes the Shinkansen. It is walking distance to the park. The room was clean and quite large when compared to other Japanese hotels I've stayed in. It was western styled. I didn't eat at the hotel but the restaurant looked very comfortable. Slightly dated hotel but the rooms were big perfect for 2 persons sharing. Staff were of kind and of great help.